Brett Brown will take over on an interim basis. A lunch time Woj Bomb reverberated throughout the NBA as ESPN’s Adrian Wojnarowski reported that President of Basketball Operations Bryan Colangelo resigned from the Philadelphia 76ers after The Ringer broke a story with evidence that Colangelo and/or his wife was running burner Twitter accounts that criticized Sixers players and coaches. The report by Wojnarowski on ESPN said that Colangelo submitted his resignation amid an internal investigation by the Sixers. It was originally reported elsewhere that the Sixers believed Colangelo that he was unaware of those accounts which seemed to indicate they were keeping him, but that doesn’t seem to be the case. When The Ringer reached out to the Sixers about the burner accounts, Colangelo acknowledged he was behind one account but not the other four. But after some rather basic investigating, people quickly figured out that tweets were written in a similar manner at a similar time on each of the accounts, the accounts revealed crucial info that only a few people would know and the password recovery email and phone number went to the same place. So it doesn’t take much to add two and two there. The Sixers enter a very crucial summer for their championship hopes. After years of languishing on the bottom because of “The Process,” the Sixers now have a dynamic young team who is built to be one of the top teams in the East. And given LeBron James is a free agent and the Sixers are a realistic destination for him, keeping Colangelo would have potentially derailed that move. 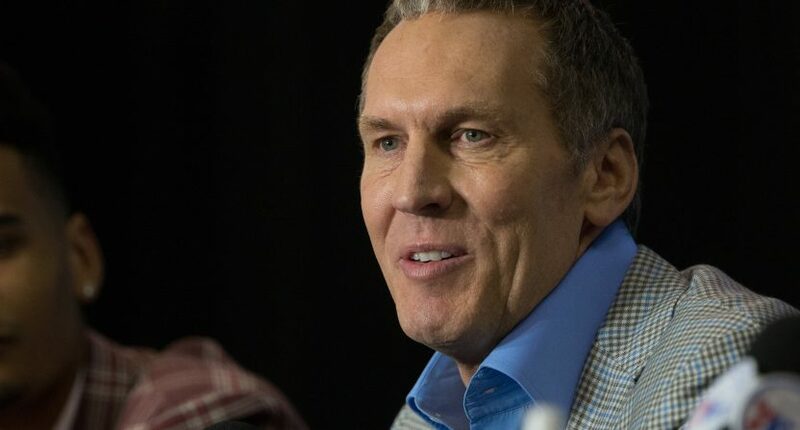 If Colangelo was still in Philly, why would any free agent go there if there was even a hint of someone on the inside leaking out critical information in that way? The Sixers released a statement about Colangelo’s firing. Managing partner Josh Harris acknowledged that after an outside investigation, Colangelo’s ability to run the team was compromised due to this. Head coach Brett Brown will take over on an interim basis.